We are "The 9": A group of nine women who met on the first scale-up programme run by one of the Big Four, which targeted female founders with B2B business models and innovative instincts. We live and breathe the excitement and challenges of growth in each of our businesses, and believe it is critical to collaborate together, to support each other, and to build and grow new solutions that lead to improved productivity, and a better global business environment. Juliet is CEO and co-founder of the crowdsourced talent platform AnyGood?, a network where professionals recommend professionals for roles. AnyGood? nurtures a level playing field for candidates through a proactively curated network, to ensure a greater diversity of recommended candidates. Prior to launching AnyGood?, Juliet delivered large scale change programmes for over 20 years within financial services, retail and government. Emma is the co-founder of Deployed, a SaaS data analytics company that simplifies statements of work. The company was born from a simple fact; the future of work is flexible, but the way we describe and contract for work is broken. Deployed believes that the engine of the self-employed economy is activity-based work statements, easy to understand outcomes and transparent pricing models. Having also recently been named in the “301 Female Tech Trailblazers”, Emma is a rising star amongst women in B2B tech, and is passionate about nurturing other women in this space. Anna is the Founder and CEO of Open Blend, an online platform that facilitates coaching-led one-to-ones that support all aspects of an individual’s development journey and enables managers to truly accelerate the performance of their teams. She has over 15 years’ experience as an executive leadership coach to enterprise organisations, and is a well renowned specialist in leadership coaching with a passion for supporting every individual in a business to reach their potential. Lu is the founder of Blooming Founders, a business incubation platform for female founders. They offer a comprehensive ecosystem of products and services that give female entrepreneurs a competitive edge in building their businesses. Lu is also the UK ambassador of Women's Entrepreneurship Day, a mentor at the Google Launchpad accelerator, and part of the Techstars community leadership team. Angelique is the founder and CEO of GainX, a technology company that enables big business to navigate change in the new economy by applying machine learning to data they already have in order to effectively accelerate their multi-million dollar strategic transformations. Angelique is regarded as a global expert in artificial intelligence and transformation in financial services, and has been featured in Forbes and several major publications for her work in technology. In December 2017, Angelique made The Most Powerful Women in Financial Services list in the UK, and for the last three years, she has been nominated as one of Canada's most influential women. Emily is the founder of Seenit, an app and platform which helps brands and organisations co-create video with employees, fans, journalists and experts from around the world. It's a tool which makes it easy to direct and collect video from smartphones, by setting tasks within the app; the target 'crew' follow the instructions and upload video. The content arrives to a central private online studio where films can be quickly edited and distributed out to social media. 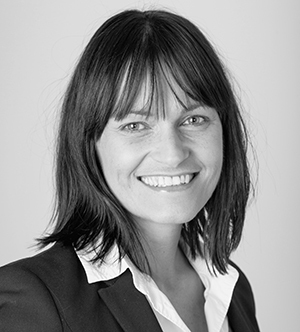 Lucinda is the founder and CEO of Actus and Actus Comply, performance and talent management software that increases productivity, engagement and compliance in organisations across the world. Actus was launched in 2012 and has since gone from strength to strength with more than 50,000 users across the public and private sector, and growing rapidly. She is also a qualified business psychologist and executive coach with many years’ experience in corporate learning and development. Megan is widely regarded as a thought leader in digital innovation for customer care. Her passion for ‘customer and client first’, combined with her constant drive for innovation led her to co-found Limitless Technology in 2016. 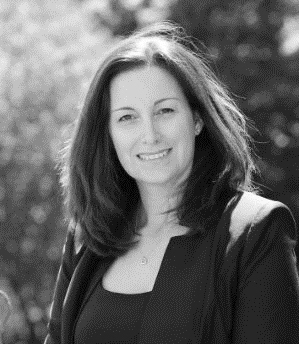 Prior to founding Limitless Technology, Megan was an equity director leading a high growth European contact centre. With over 20 years’ experience in the media industry, Kinga founded Whitereport Hungary in 2011 and Whitereport Global Limited (UK) in 2017. Whitereport captures financial, commercial and ownership data to transform the way in which media-related business, regulatory and policy decisions are made. The platform is supported by a cross-media database of 1100+ UK media companies, as well as league tables.